"Dance is a good medium, but by using different media at the same time, you have more vocabulary to make the work more powerful"
Hongkongers love Japanese culture. We are a city obsessed with Japanese food, we grew up with Japanese animation and drama, we rock Japanese threads, and don't get us started on Japanese video games. But how much do we know about Japanese dance – or, more specifically, Japanese avant-garde dance? 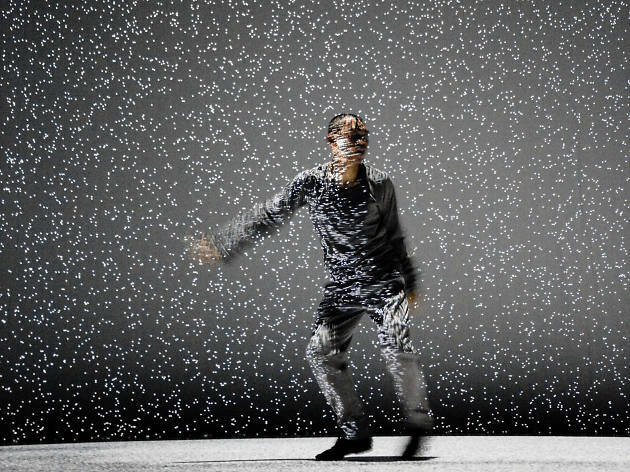 Award-winning Japanese choreographer Hiroaki Umeda was recently in Hong Kong for the latest installment of the West Kowloon Cultural District's New Works Forum, in which he discussed the relationship between (and manipulation of) multimedia and dance with local artists. Having presented his works in various prestigious venues such as the Barbican Centre in London and the Sydney Opera House, Umeda shares his experiences of creating his highly acclaimed work Holistic Strata to Hong Kong artists. "My purpose in creating art," Umeda explains, "is to cause sensations in the bodies of the audience. There is no specific meaning or message, just the experience of time and space." He goes on about the concept behind the work as an 'impulse'. "For me, emotions are defined by and in the society [in which we live]." He continues, "The word 'impulse', to me, comes prior to emotion – the root of the emotions, in fact." It is these pre-emotive impulses which he aims to explore in his work. As an audience member, Anna Chan, the head of artistic development (dance) at West Kowloon Cultural District, shares her thought on Umeda's performance. "The work is very thought-provoking, and it awakens our stimulus visually, aurally, and kinaesthetically. I see his work as quite neutral in a way, in that everyone who goes in will have a different kind of sensation and provocation." It's not without reason that Umeda decides to render his works in such a way. "When I was young," Umeda reflects, "especially during my teenage years, I had a feeling that I couldn’t believe anything." He recalls his memories of growing up in Tokyo where things change very rapidly in every aspect of life and he couldn’t seem to catch up. "I found that what I could trust is my bodily sensation, because it’s much more truthful to me. That’s why in the piece, I always give stimulation to the audience, causing sensation and impulse in the body." The fact that Umeda is also a photographer, a composer and an installation artist helps convey the very specific feel he intended. "Dance is a good medium, but you cannot express everything [with it]. I think that by using different media at the same time, you have more vocabulary to express precisely and specifically, which makes the work more powerful." Although constantly at the cutting-edge of the dance scene with works that break the rules of traditional performances, Umeda still recognises the value of traditions, especially from a country with such a long cultural heritage. "I think that in a culture," says Umeda, "it’s better to have both sides: to have strong traditions as a base on the one hand, and to develop according to the generation and society on the other. If we have strong traditions, it can lead to something new." This very thought also strikes a chord with Chan: "Traditional dance has a rich heritage and culture behind it," she points out, "but those are the foundations which brings us to who we are and what we are now. If traditions do not move forward, it can become a museum. In fact, it would disappear, because it doesn’t speak to contemporary society." When asked about the Hong Kong dance scene, Chan mentions its diversity is key. "Our dancers and choreographers are very outgoing, and are very talented to make different kinds of work." She also goes on to highlight some drawbacks. "Unfortunately, in Hong Kong right now, we cannot provide an environment for works to take time come together, to allow for refinement and change, to tour, and to mature. West Kowloon Cultural District wants to provide that, to supplement and complement the ecosystem which has been developing very well."